Little Oven Pizza has been open for just about six months. Thanks to all of you, it has been a fantastic experience! So thought we’d take some time to let you all know how things have been going for the shop and what Merced can expect from us in the future. When we opened, we were worried about being a novelty in downtown Merced. 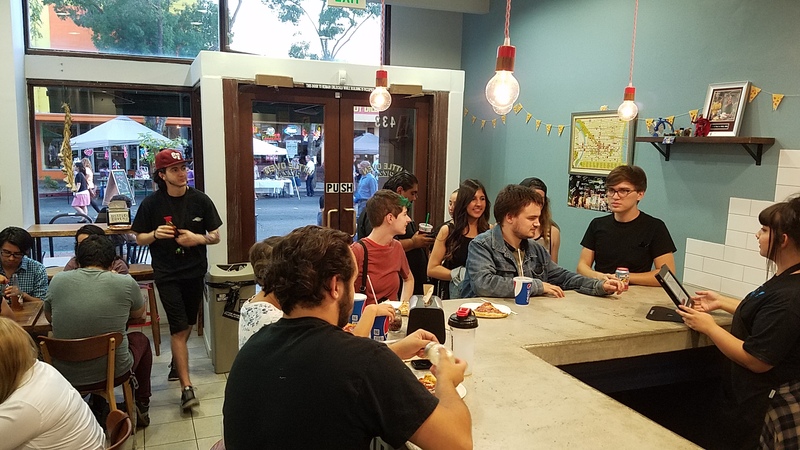 Sure we sold out of pizza a few times in that first month, but would Little Oven be the place where you can get kale or potato pizza and just a “flavor of the month?” As it turns out everyone cannot get enough of our pizza. We are honored to have frequent and repeat customers, lots of word of mouth buzz, local organizations asking for large orders, reoccurring weekly full pies enjoyed by families and friends, all kinds of great stuff! You have really made us feel an overwhelming sense of belonging in Downtown Merced and home to be a fixture for a very long time. Lot of love, people, and pizza during the Merced Downtown Street Faire. As for the store itself, since opening in February we have hired three in-store employees and have just put out a call to hire more for both front and back house! With Merced College and UC Merced coming back into session in August, we are positive that we will need the extra help. We have even hired a social media wizard to make our ability to connect with our customers online smoother. On the topic of social media, it is a great way for a small business to get their message out, but more importantly it lets us hear from our customers and local community. Every time we post our menu we see support roll in. We love watching your discussions of which pies are favored and what you want to see next. And we are listening. In addition we are looking to holding monthly contests on Facebook and Instagram. So what about the future? Well we cannot make any promises, but we are looking into getting a beer and wine license, extending our social media engagement, doing a little pizza tourism, highlighting purveyors, hosting special events, and even previewing some upcoming pizzas that may make our regular rotations. Pop-Up Brunch with Chef Tanisha!